Richard was educated at St Edward’s, Oxford and Exeter University where he gained a geography degree. He commenced his surveying career in 1989 at Gerald Eve in London and in 2002 jointly started VSL and Partners, specialising in commercial property advice. 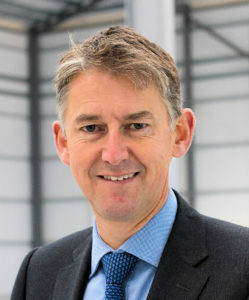 Richard dedicates considerable time and energy to economic and cultural development in Oxfordshire. He is a board member of Experience Oxfordshire, Active Oxfordshire and Oxfordshire Youth, a member of the Ashmolean corporate circle, a member of the Oxford Economic Growth Steering Board, a member of the Oxford Youth Partnership, a member of the Oxford Strategic Partnership and Chair of Reciprocate. Richard was appointed a Deputy Lieutenant for Oxfordshire in 2017 and High Sheriff of Oxfordshire for 2018/19. Outside work he is a hockey fanatic playing at Oxford Hawks Hockey Club and an enthusiastic parkrunner.